Our clinical formulation utilizes our proprietary process to activate dormant stem cells with nutrient-rich stem cell extracts, which leads to multiplication of the cell content and rejuvenation of the skin. In 2005, it was discovered that four types of pluripotent stem cells originate in the placenta and umbilical cord tissue of mammals. 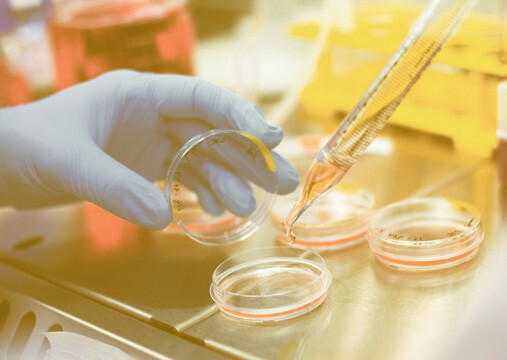 These stem cells share many similarities with embryonic stem cells, expressing many of the same surface markers and transcription factors normally present on embryonic stem cells, identifying them as true stem cells. Like embryonic stem cells, placenta and umbilical cord tissue cells are also pluripotent, which means they repair every type of cell in the body. The cells are ethically harvested from sheep, post birth, so there is absolutely no harm to the animals. Our BioCellTec™ Stem Cell products provide exceptional results by transferring large numbers of bio-active stem cells directly to the dermis of the face. When applied in sufficient concentration, our stem cell products “de-age” the skin. The revitalized, younger skin cells immediately begin producing increased levels of collagen, glycoproteins, and elastic fibers in the skin’s extra cellular matrix, just as they would do naturally in younger skin. And the best part…? The “de-aging” effect is cumulative and improves with daily use of the product. 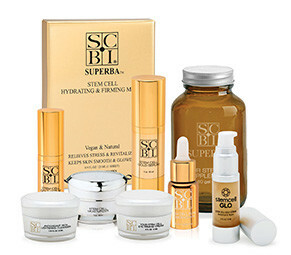 Introduction: Stem Cell Beauty Innovations / SCBI and the AMA Laboratories conducted a study on the effectiveness of the Stem Cell Gold Serum on reducing the inflammation associated with rosacea. Stem Cell Gold Serum reduced the appearance of facial redness by up to 40%, in 80% of the subjects. Observations: No unexpected adverse reactions were observed on any of the subjects during the course of the study. Introduction: Stem Cell Beauty Innovations / SCBI and the AMA Laboratories conducted a Repeat Insult Patch Test (RIPT) on the safety of the Gold Stem Cell Serum. Conclusion: No adverse reactions of any kind were noted during the course of this study. Our most popular miracle serum for every day radiance. based on the stem cells of a rare Swiss apple. wrinkle depth for 100% of the subjects. This kit comprises two of our most popular products, the Vegan Stem Cell Face Masks and the Vegan Stem Cell Serum.